A UNIQUE feat of architectural and musical fusion, The Piano Mill Project near Stanthorpe, is the first building to win a national Australian music award, receiving the Award for Excellence in Experimental Music at this year's 2017 Art Music Awards. 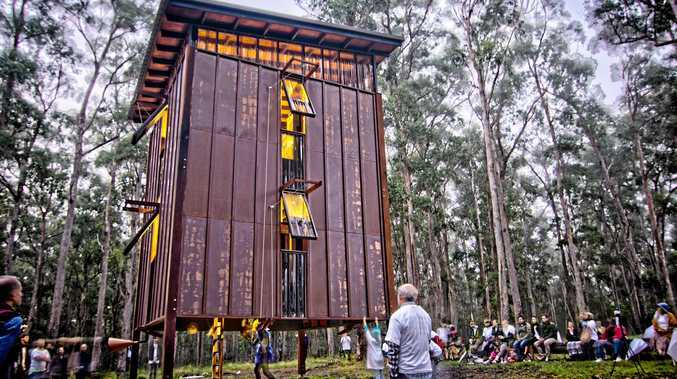 The epic collaboration between architect Bruce Wolfe and his wife Jocelyn with composer Erik Griswold involved 16 pianos being sourced from Brisbane, Stanthorpe, Warwick and Toowoomba and housed in the nine-metre high purpose-built structure. 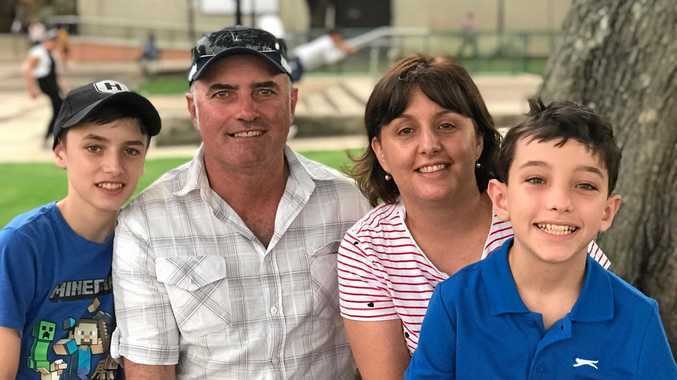 They were presented with the award last week ahead of 40 other nominations from around the country. The Piano Mill Project, nestled in the forest at Harrigan's Ln, with Mr Griswold's composition All's Grist that comes to the Mill was "a lot of fun", Mr Wolfe said. "It was an exceeding amount of fun doing something that hasn't been done before." Mr Wolfe said the project, starring an architectural structure and musical instruments, remained as an installation and had since been used by other composers for musical collaborations. He said once the idea had been formulated, the venture took about 1.5 years to complete, with Mr Griswold - whom he met 10 years ago - "immediately on board for writing the music for the pianos". Mr Wolfe, who is working on a new mystery instrument, said the Piano Mill Project involved composing music for 16 pianos, as each instrument was different in age and stage of upkeep. This led to the ground- breaking concept of a "building powered by 16 pianos" and a project that paid tribute to the musical history of Outback Australia. "The idea was to have these pianos packed fairly densely into a space and the design result is something of a cube with a floor plate of about 4.5sqm. "It is simply amazing how many people have pianos that are not in use. It does give further validity to that notion of a land over-run with old pianos." Mr Griswold said it had been "awesome" to win the award and he believed the judges had been impressed by "such an audacious, large-scale project". He, who with his partner Vanessa Tomlinson is known as Clocked Out, said an annual event would be planned for The Piano Project "and we'll keep building on that". Australian Music Centre CEO John Davis, said the seventh national 2017 Art Music Awards, presented by Apra Amcos and the Australian Music Centre, had received an "amazing range" of nominations representing an extensive range of talent from around Australia.